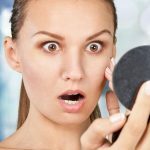 Red spots all over your face ruining your look? I don’t want to get started about how annoying those spots are. Even though they seem like a big issue, they really aren’t. 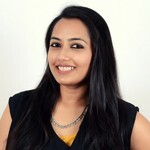 Getting rid of them is an easy task with the remedies I have compiled in this article. Read on to know more. Since the causes are many, proper identification of the exact cause is vital to determine the right course of treatment for curing this problem. Also, one should always consult a doctor in situations of prolonged and worsened red spots. That got a little depressing, right? But don’t lose heart. There are certain general ways to tackle this issue, and they are explained below. Squeeze out some fresh lemon juice and apply it to the affected area using the cotton pad. Leave it on for about five minutes and then rinse with water. Lemon juice contains citric acid that acts as an astringent. The skin’s pH is balanced, and this reduces the redness of the spots. 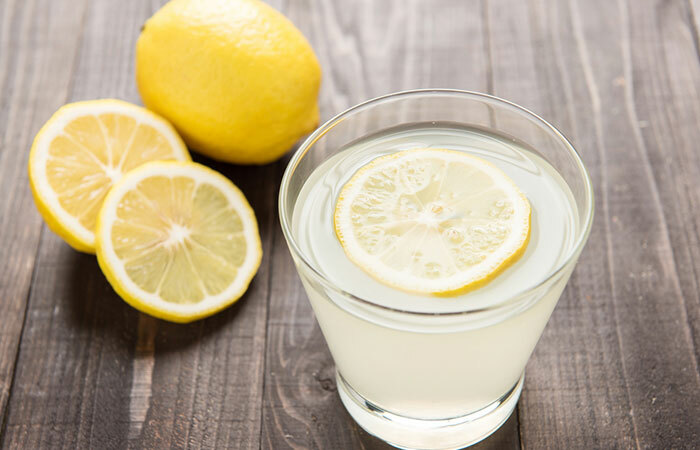 Lemon juice also cleanses the skin and tightens the pores, which is an added benefit if acne and pimples are the reasons for your red spots (1, 2). If you have sensitive skin, dilute the lemon juice with an equal amount of water before applying it. Dilute the vinegar in water and apply it all over the affected area. Let it dry naturally and then rinse with regular water. The mild acids present in apple cider vinegar tone the skin and restore the pH balance. 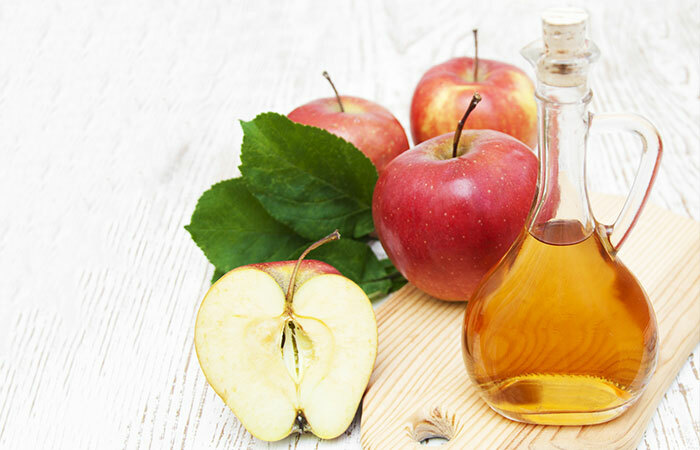 ACV also contains antioxidants that promote healing of the irritated and inflamed spots (3, 4). 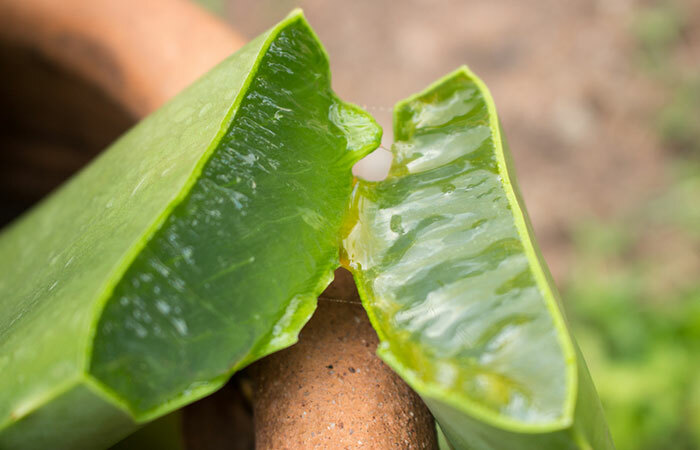 Slice the aloe leaf into half and scoop out the gel present inside into an airtight container. Apply this gel on the red spots and massage for a minute or two. Leave the aloe vera gel for 20-30 minutes and then rinse with water. Store the remaining gel in the container. Apply aloe vera gel twice a day. The healing and soothing properties of aloe vera gel are often used for treating skin irritation and ailments. The essential nutrients, along with antioxidants and healing compounds, will reduce the red spots and make your skin healthy and glowing (5). Clean your skin with a gentle soap and water. Pat dry and massage with a few drops of coconut oil. Keep the oil on overnight. Do this every night, before going to bed. 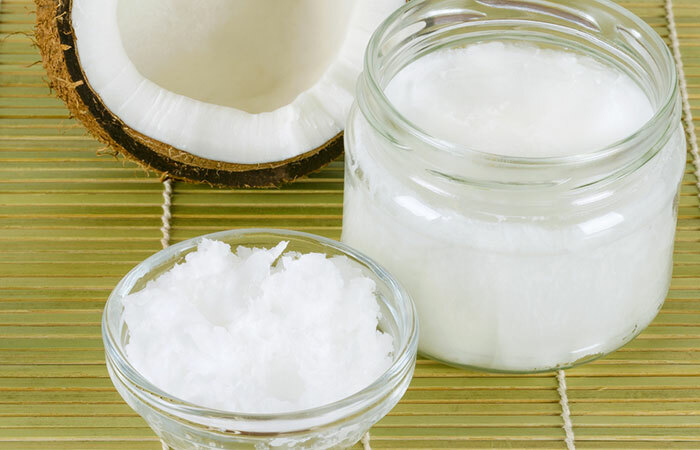 Coconut oil soothes the skin and reduces red spots. It moisturizes your skin moisturized and keeps it young looking. This oil suits people with oily skin as well. This is because coconut oil does not clog pores and cause acne. It actually cleanses the clogged pores (6). Massage the affected area gently with a small amount of cocoa butter. Leave this on overnight. Rinse your face in the morning as usual. 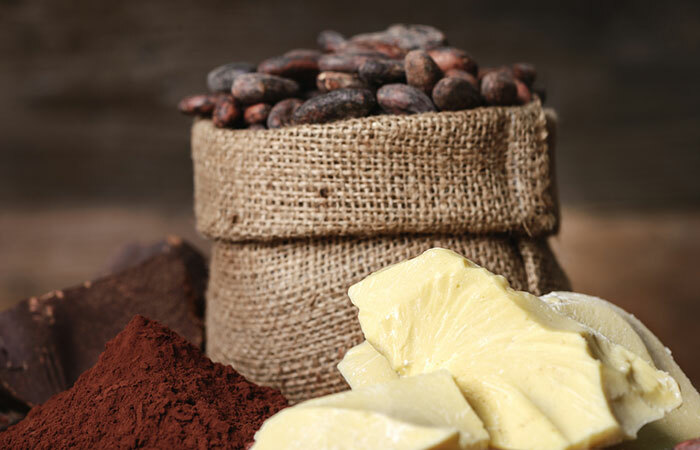 The phytochemicals found in cocoa butter lighten the red spots and alleviate the associated inflammation. This butter also contains antioxidants that help to reverse the damage caused by free radicals. Cocoa butter is also extremely moisturizing for the skin (7). If you have oily skin, test the cocoa butter out on a small area first. As it is high in fat content, it might cause acne. Hence, a patch test is recommended before using it to remove red spots on the skin. Brew fresh dandelion root tea by steeping the herb in hot water for a few minutes. Strain and drink the tea while it is warm. Have 1-2 cups of dandelion root tea for a couple of days, and you will notice the difference in your skin. 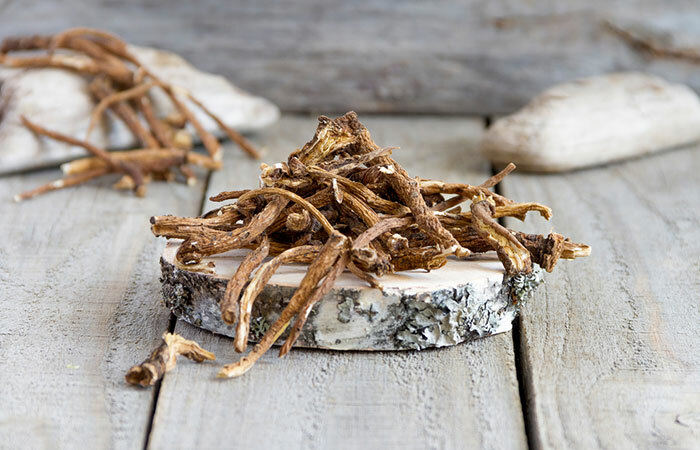 Dandelion root removes the accumulated toxins effectively from the body by improving liver function. This detoxification makes your skin clear and glowing from within (8). The red spots are diminished to a great extent, especially those caused due to acne and petechiae. The remedies listed above are excellent toners, astringents, emollients, and detoxifying agents. They have shown to be helpful in lightening and fading the red spots and soothing the skin to make it healthy. Use them regularly, and you will see the difference. Apart from these remedies, it is important you follow a proper skin care routine along with a healthy diet. Some essential tips for this are mentioned below. 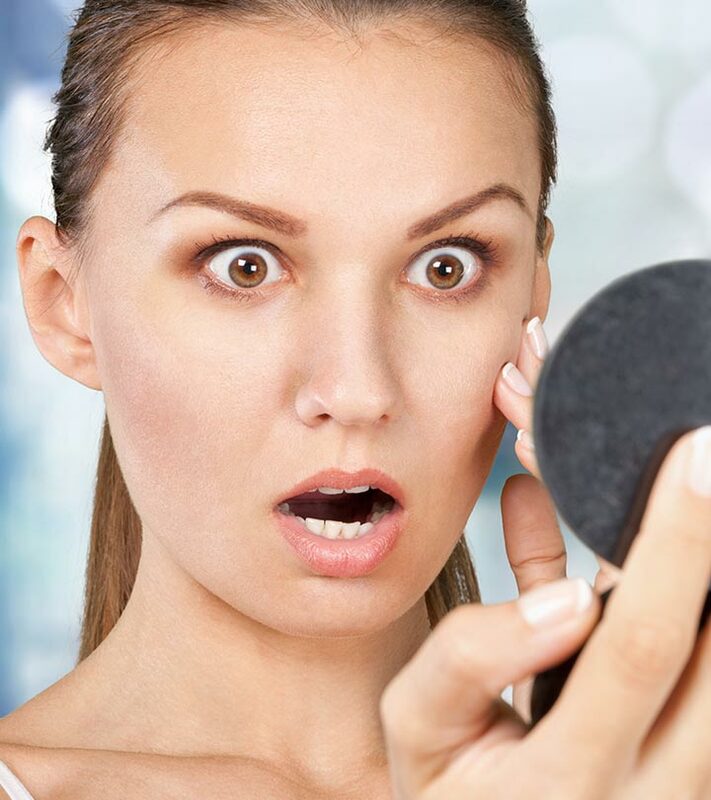 Excessive and prolonged use of artificial cosmetics and chemical-based personal hygiene products like lipsticks, powder, soap, lotion, etc., especially the ones of inferior quality, can be harmful to the skin. They can contain corrosive and unhealthy ingredients. It is advisable to use nutrient and natural extract-rich cosmetics instead of their chemical packed counterparts to avoid the ill effects like rashes, allergies, acne, red spots, etc. Don’t forget to check the expiry date of these products before application to avoid harmful chemical reactions on the skin. Regular and proper exfoliation of the affected area can aid the discoloration and fading away of red spots. It helps to get rid of dirt, unwanted oil, and dead and dry skin cells build-up on the epidermis that hinder the lightening of these red spots. Exfoliation helps in bringing the new and healthy skin to the surface, thereby, making your skin spotless and flawless. Exfoliating and scrubbing can be done with natural and organic products, pumice stone, washcloth, and scrubs. They remove the unwanted cells from the surface of the skin and make it look fresh and revitalized. Red spots on the skin can deepen and aggravate due to exposure to the harmful rays of the sun. They can damage the skin cells, promote excess melanin synthesis in the affected region, cause skin burns, etc. This damage to the skin decelerates the process of fading and lightening of the red spots. Hence, it is best to protect oneself from these harmful UV rays and use sunscreens and skincare products containing SPF. Maintaining a healthy and balanced diet is a prerequisite for having a clear, spotless, and healthy skin. An unhealthy diet can cause allergies, digestive problems, acne, pimples, dryness of skin, etc., which can further initiate the appearance of undesirable red spots on face and body. To avoid this, one should follow a diet rich in proteins, vitamins, minerals, and other nutrients, which can help the body combat diseases by boosting the immunity levels. Apart from the general causes, some people have red marks on their skin by birth, for example, birthmarks. These are a result of genetic factors. In such cases, it is very difficult to fade or lighten these red spots naturally. Cosmetic procedures are the only way to remove these spots. The use of medicines, ointments, skin creams like calamines, laser treatments, surgical options, and other medical and clinical alternatives are helpful in treating, lightening, and removing these unwanted red spots from the body. If you have red spots on your skin, use the natural remedies listed in this article to get rid of them with ease in the comfort of your home. Step out with confidence and flaunt clear and spotless skin. Hope the article was informative. If you have any queries or suggestions, please leave a comment below.